The Enclave – christopher consultants, ltd. 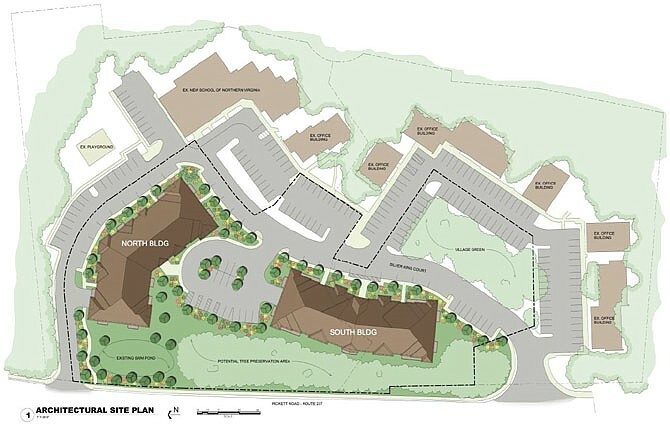 The Enclave is a planned condominium community developed by the IDI Group which is located on nine acres of land along Pickett Road in the City of Fairfax. The development will be comprised of 80 condominium units within two four-story residential buildings, each of which will include an underground parking garage. There will also be an outdoor community amenity area, and an existing preserved open space area. christopher has been working on the project since 2014 and will continue to provide services to the IDI Group through the next phase of development. christopher assisted the IDI Group with the preparation of the required submission drawings for entitlement, providing expertise in site surveying, stormwater management/best management practices, utility design, landscape planning and arborist services. In collaboration with the project team, christopher was also able to assist with exhibits and technical support in various meetings and public hearings, to overcome the various project challenges including parking, building height and pedestrian circulation.